Facebook is a really powerful tool that can be used to generate tons of leads for your fitness studio. 1.94 billion people use Facebook monthly, and it’s one of the most widely used social media platforms. With so many users, it’s an effective way to reach a ton of people at a low cost. My team and I specialize in Facebook advertising, and, and these 7 steps will help you build an awesome campaign to get you new leads for your fitness business. When people see your ad, you want to immediately grab their attention. The best way to do that is with a proven offer. 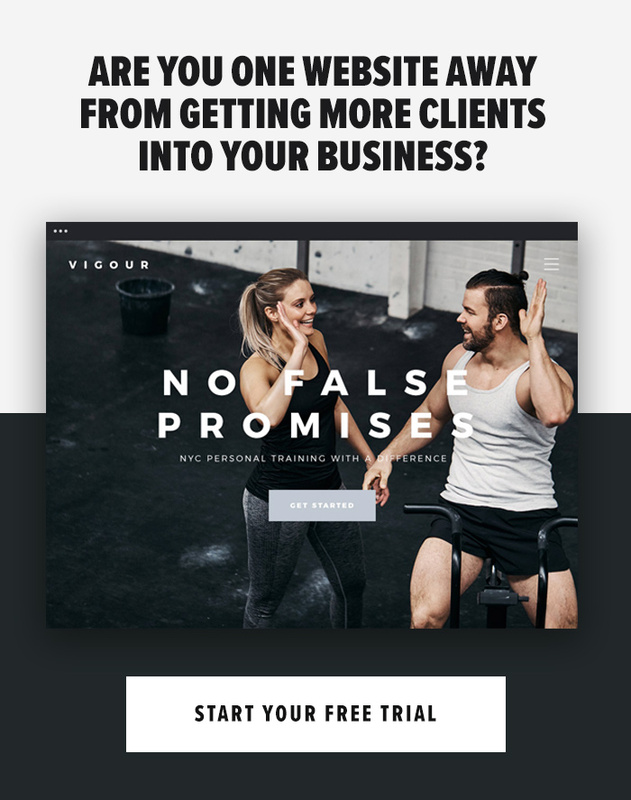 We’ve tested different offers, but the one that consistently produces the best results for fitness studios and gyms is 1 Free Week. If you’ve never heard of the power of free, it’s a really effective and proven marketing tactic. This offer has gotten our fitness customers up to a record breaking 503 leads in 1 month, and 107 leads in 24 hours. People love the thought of getting something without having to invest anything financially. The 1 free week is your chance to impress them with your great customer service, friendly instructors, and awesome workouts. I talk about what the most successful fitness studios do to give potential members the best experience during their free week in this clip of The GSD Show [watch the full episode here]. One of the elements that you should include on your Facebook ad is a quick video that shows your studio, instructors, and classes. 51.9% of marketing professionals say video is the type of content with the best ROI. People want to see what your studio looks like. A fun and engaging video is a great way to prepare them for the awesome workout they’ll have at your studio. Don’t worry if you’ve never edited a video before. People aren’t concerned about the quality; they’re interested in your studio. You can use your smartphone to film and an editing program like iMovie or Windows Movie Maker to put together a simple video. Another way to utilize video is to include testimonials on your landing page. Ask 2 or 3 of your best fitness members if you can film a quick testimonial video with them. Place these on your landing page (we’ll dive into landing pages soon!) for proof.. If you aren’t sure how to add credibility with video testimonials, we explain it here. If you’ve decided on a proven offer and have your video ready, create your Facebook ad. The first thing people notice are the first sentence, headline and video. Take a look at this sneak peek of a Facebook ad that a pilates studio ran to get 41 new paying members in 2 months. The first sentence, ★ Attention Ladies in Wexford ★, is direct and captures the attention of a specific audience, and the stars around the text help it stand out. The video shows the pilates studio, and the headline of [FREE WEEK] is written in all caps so that people don’t miss it..
Another way to draw in potential members with your Facebook ad is to create a sense of urgency. Let people know that your offer expires within a certain amount of time so that they know they need to act soon if they want to take advantage of your ad. People are also more likely to take action if you include that the offer is limited to a certain number of people. They’ll want to claim their offer before all of the spots fill up. The more engaging that your ad copy is, the more people will read it and click on your ad. To find out what type of ad works best with your audience, A/B test. A/B testing is where you run two similar ads at the same time to compare results and figure out which one performs better; you’ll know where to invest your marketing budget to get the highest ROI. Image versus video – Everything about your campaign is the exact same except for the image. You’ll have one ad with an image of possibly a girl doing a pushup, and the other image of two girls stretching.. Or better yet, test 1 ad with an image and the other with a video, and see which one performs better. We usually find that video performs better than images, but it’s worth testing because every audience is different. Ad sets – Target different audiences and see which one is more responsive. For example, target only women between the ages of 35 – 50 in one, and only women between the ages of 20 – 35 in the other. You can also do this with interests, income, etc. Ad copy – Test 2 catchy and engaging headlines to see which one performs better. Write similar but different copy in both ads. Offers – As we mentioned in step #1, we’re huge believers in 1 free week. But this is another element of your ad that you can test. For example, test 1 free week vs 2 free weeks, or 1 free week vs a paid offer. The audience and budget were the same in both of these ads, but Ad A got 55 clicks, whereas Ad B only got 5. After viewing these results, we knew to invest more money in Ad A because it was performing much better. A/B testing is important for the next step: optimization. One of the biggest mistakes that you can make is to set a campaign live and never look back to see how it’s performing. Always check on your results to optimize and spend your money efficiently. This is why A/B testing is so useful. You’ll see results of your A/B test within 24-48 hours, and from there you can make changes and direct your budget to the ad that gets the best results. Once people click on your Facebook ad, take them to a landing page. This is where they’ll enter their information to claim your offer, and once they do, they become a lead for you to immediately reach out to. A landing page is different from your website – it takes them to a specific page where people can opt in to your offer. A website has a lot of other distractions, but a landing page has one clear purpose..
We like to use ClickFunnels or LeadPages to build landing pages. They’re simple to use and can be integrated with your CRM so that your lead’s information is saved in one place. Check out this scroll-through of one of our landing pages. Notice how it says “Only  remaining!” to include the scarcity factor. If someone clicks on your ad, is taken to your landing page, but doesn’t claim the offer right away, you can remind them about your studio with retargeting ads. You can do this by placing a Facebook retargeting pixel on your landing page. A retargeting pixel tracks the people who have previously visited your website or landing page. Then, you’ll be able to create an ad that specifically targets those people. People who are retargeted are 70% more likely to convert, so you’re missing out on a huge opportunity if you don’t take advantage of this. If you follow these 7 steps, you’ll be able to create a campaign that gets you tons of new leads. And when you do, you’ll also want to check out “7 Ways to Close More of Your Fitness Leads” so that they become paying members. Let us know how these strategies work for your fitness business!